Our apartment is located on the 1st floor of a building. Floor to ceiling windows allow a view on the lake of zurich and up to the hills and mountains. 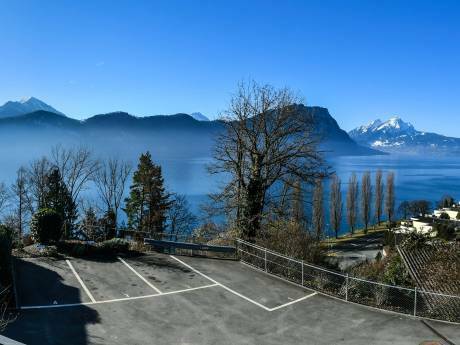 From here you will have an easy access to the sights of switzerland (see neighborhood). 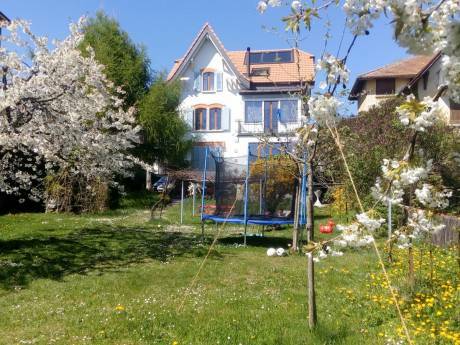 The apartment itself is well situated for all kind access and in a 10-minute walking distance from the lake. Everything you need is nearby within a walking distance ? from the chinese restaurant to supermarkets. The residence's size amounts to 115 square meters in total and the terrace with 17 square meters. 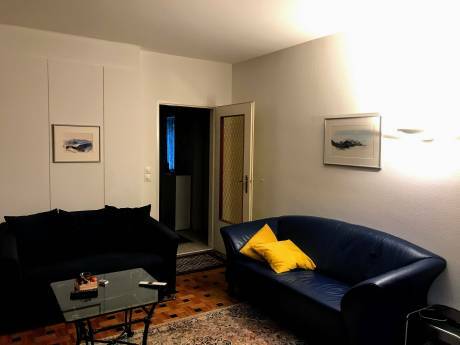 The apartment is completely equipped with new furniture and parquet floor. The domicile consists of two bedrooms one with King size bed and the other with a sofa bed (for 2 pers.). There is one bathroom with a bath tube and a separate shower. It's also equipped with laundry. A modern open kitchen (oven, microwave, cooker, and all kind of kitchen tools), and a spacious living and dining room allows a cozy gathering. You will find a big flat screen and audio system. The terrace is equipped with barbecue. A parking place is available.